Disney fans, get ready for an incredible hour of thrills and chills as ScareLA 2015 presents Legend of Disneyland’s Hatbox Ghost! Join Disney Legend Tony Baxter and renowned artists Kevin Kidney and Jody Daily as they take to ScareLA’s Main Stage on Saturday, August 8th at 12 PM to discuss the lore and legend of the Haunted Mansion’s most infamous resident, the Hatbox Ghost. 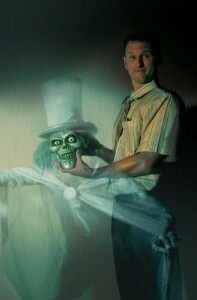 Legend of Disneyland’s Hatbox Ghost will be moderated by the owner, producer and host of the Season Pass Podcast, Doug Barnes. During the hour-long panel presentation, the group will discuss the history of the sinister spook and the public’s long-running love of the specter that made an appearance very briefly in 1969 when the Haunted Mansion opened to the public – and then took an extended vacation until its triumphant return this spring! The presentation will include historical imagery and video footage of the Hatbox Ghost, as well as a personal recollection by Tony Baxter of seeing the original figure at Disneyland during the Haunted Mansion’s first days of operation when he was a Cast Member at the park. 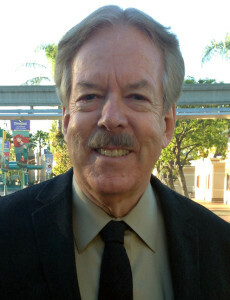 Tony Baxter is the former Vice President of Creative Development for Walt Disney Imagineering, and still consults for WDI. He is a Disney Legend that started as a Cast Member at Disneyland in 1965, scooping ice cream on Main Street, U.S.A. In the years to come, Tony would rise through the ranks and in a real-life fairy tale, became one of the most beloved Imagineers of all time. 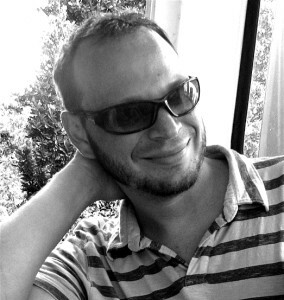 During his time at WED Enterprises/Walt Disney Imagineering, Tony was part of the creative teams responsible for the creation of Big Thunder Mountain Railroad, Disneyland’s New Fantasyland, Star Tours, Splash Mountain, Disneyland Paris, and Indiana Jones Adventure Temple of the Forbidden Eye, to name some of his career highlights. Respected and admired by Disney fans and industry professionals around the world, Tony Baxter is more than a Disney icon – he is a creative visionary that is more relevant than ever; his experience and knowledge are second to none, and his career – while far from over – is nothing short of legendary. The incredibly talented Jody Daily and Kevin Kidney! Kevin Kidney’s Yale Gracey tribute! Joining Tony Baxter on stage for this presentation will be Kevin Kidney and Jody Daily, two local artists known mostly for their amazing Disney pieces over the years! Kevin Kidney and Jody Daily make all kinds of fun things — like toys, parades, tiki mugs, and television commercials. For Disney Parks worldwide, the two artists have developed entertainment for almost 30 years (Kevin was one of the two original designers of Disneyland’s Fantasmic! in 1991). They designed Mickey’s Soundsational Parade and the Pixar Play Parade, the Happiness is Here Parade for Tokyo Disneyland, and they’re now at work on a new daytime pageant for Disneyland Paris. 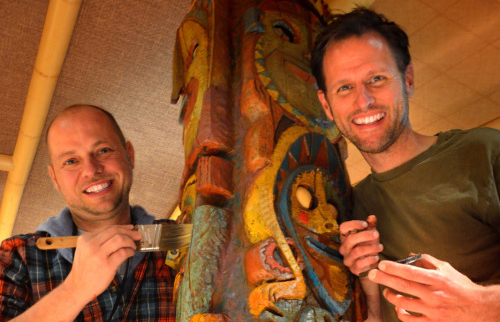 Over the years, they’ve created literally thousands of Disney merchandise items, and consult with all areas of the Walt Disney Company through their unique design firm Kevin & Jody Show. In 2009, Kevin and Jody built an accurate full-size replica of the Haunted Mansion Hatbox Ghost for Disney’s D23 Expo, and a second figure for “Haunted Mansion” film director Guillermo del Toro. Theme park fans will likely be familiar with the wildly-popular Season Pass Podcast, hosted by Doug Barnes. Doug will moderate the Legend of Disneyland’s Hatbox Ghost panel presentation and take questions from fans in the audience. A life-long theme park fan, Doug travels around the United States to experience the latest and greatest thrills and the most amazing themed environments in the world. During his travels, Doug has interviewed hundreds of movers and shakers within the themed entertainment industry, including Tony Baxter on multiple occasions. Doug’s favorite time of year is the Halloween season, when he visits as many haunted attractions as possible! featuring the biggest names in Southern California Halloween attractions, including Knott’s Scary Farm and Universal Studios Hollywood’s Halloween Horror Nights. Tickets are now on sale at ScareLA.com! For more information and tickets, visit www.scarela.com. Be sure to follow ScareLA on Twitter, Periscope, Facebook, and Instagram. This entry was posted in Haunted Attractions, Home Page, Home Page Slider, News and tagged Disneyland Resort, Doug Barnes, Jody Daily, Kevin Kidney, Legend of Disneyland's Hatbox Ghost, Rick West, ScareLA, Tony Baxter, Walt Disney Imagineering. Bookmark the permalink.